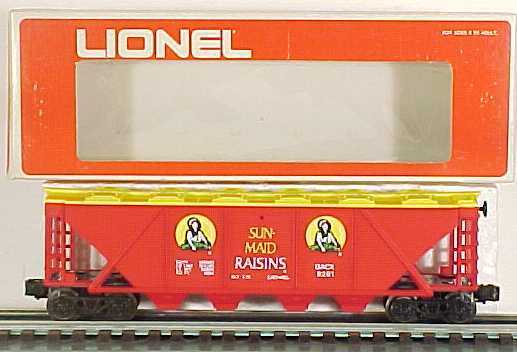 Here is a Lionel 9261 Sun-Maid Rasins 4-Bay Covered Hopper from 1975-76. It has 12 working hatch covers, a brake wheel, plastic trucks, operating knuckle couplers, metal wheels and axles. The Trainz SKU for this item is 4246517.